Installing windows XP from a USB drive is not an easy deal, since it requires an advanced setup to work. Windows XP will not work or boot through a usual USB drive or through any removable drive. However it is possible to install windows XP through a USB flash drive when you follow these fundamental procedures. When installing Windows or any Operating system through a USB drive or other removable drives, you will be able to have them safer till your life. Particularly when you’re Compact Disk or DVB fails to work or it is damaged, you can use the resource from the removable drive. It becomes a perfect lifesaver. Upon inserting the bootable compact disk or DVB into the computer, it first detects the drive and instructs you to Press the key for booting through CD. This will happen only when the disk is bootable. When the drive is bootable and readable, you can easily format the hard disk and further make several partitions for installing the operating systems such as Windows, Vista, XP in your desktop computer. Well, all these procedures couldn’t be accomplished when you have the OS copied in a USB or any other removable drive. For proceeding with the booting process, you have to setup the USB flash drive. If you are keen to learn about installing Windows from USB, then this article will greatly help you. 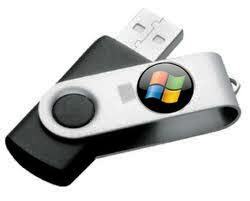 Here is a step-step guide which will help you to install windows from USB Drive. You need to download software called Win to Flash. Upon downloading this software, you will be able to view a setup file over the screen. Just double click that setup file, while it doesn’t require any installation at all. Next you need to navigate the Task tab and select the defined task. The task type should be Transfer Windows XP Setup to flash. Further a popup wizard will appear where you should click “Next” to continue. Choose the path location for installing windows or to copy the dump which is present in the removable disk and hard drive. Now choose ‘Next’ button and you have to wait for a while till the bootable copy from the removable disk is set in the USB flash drive. Once when this process is completed, you could further get ready to install windows XP. Now the installation process for installing Windows XP through USB drive or other removable drive becomes ultimately easier. Not to worry even if you’re CD or DVD having the Windows Operating system is lost or damaged. Now with the advancement of technology, you can easily install the operating system from a pen drive or any other removable disks. All that you need is little patience and remember you need to follow the procedures exactly to complete the process. In case of mishandling or fault, you will not be able to install the operating system from the USB drive or other removable disks. Fenix Raw is an IT professional from Test4prep.Are you really Looking for this CCA-410 Exam assistance? Move ahead to take the benefit of CCA-470 Exam and pass your exam easily. Greg Michael is a known blogging expert and internet marketer for the longest time. His apt ability to convert new responses into customers gives him the fair title of a social media expert, his recent post about buy likes FAQ got maximum attention of readers.